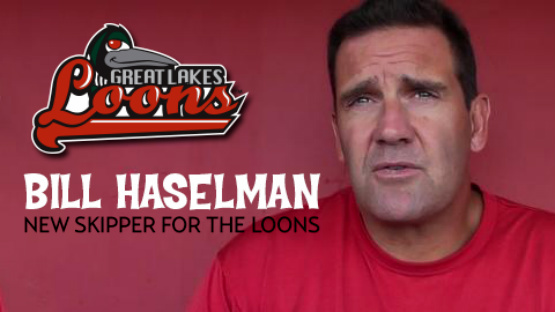 The Los Angeles Dodgers have named former Major League catcher Bill Haselman as the new manager of the Great Lakes Loons of the Midwest League. Haselman spent last season as manager of the Single-A Inland Empire 66ers (California Angels), leading them the California League Championship. He has also managed the Single-A Bakersfield Blaze (Texas Rangers) in 2010. Haselman spent 13 seasons in the bigs, hitting .259 with 47 home runs and 210 RBI’s with the Rangers, Mariners, Red Sox, and Tigers. Playing with Detroit in 1999, he batted .273 with four home runs, and 14 RBI’s in 48 appearances. Haselman will replace Razor Shines, who the Dodgers promoted to manage the Double-A Chattanooga Lookouts. In his one year stint with Great Lakes, he took the club to the Midwest League Playoffs with a 40-29 showing in the second half (67-72 overall). Along with Haselman, Bill Simas will return as the Loons pitching coach, while Johnny Washington will take over as their hitting coach. The Loons will kick off the 2014 season on Thursday, April 3 at Fort Wayne. We’re still waiting for the Tigers to name a manager for the West Michigan Whitecaps, too. Larry Parrish was promoted to Toledo earlier this year, and the ‘Caps are still waiting to see who will be taking the helm next spring.